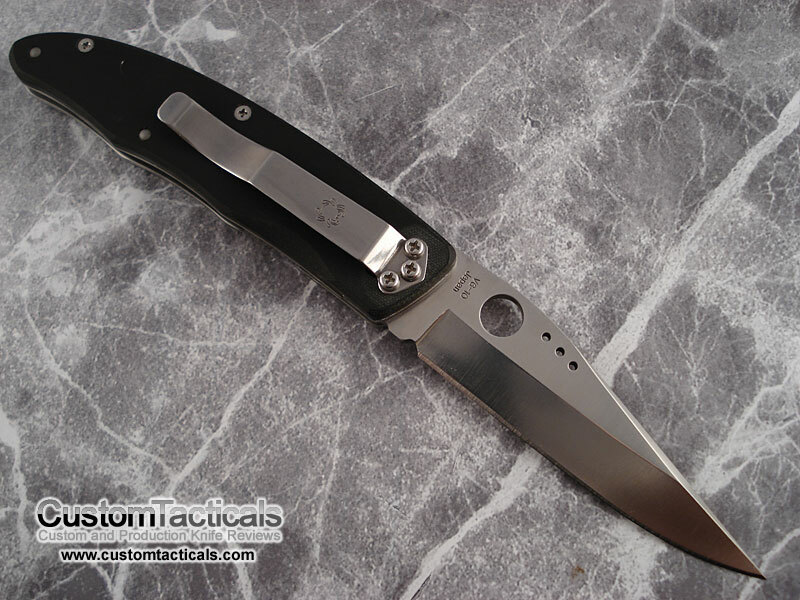 The Viele C42 from Spyderco is definately what I would consider a Classic Spydie. Produced in relatively small numbers and with very high end parts for the time, the Viele was also reissued with higher end steel later, of which this is an example. 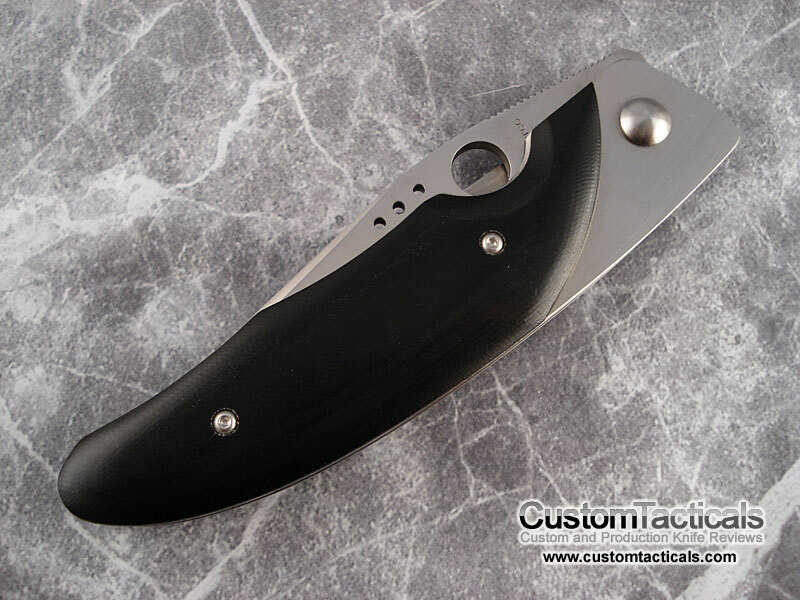 I had one of the originals in AUS-8 Steel, with the Micarta slab on the back. The new one has Aluminum on the backside. I have long since sold the original Viele and now just own the new one. There was also a smaller Viele II that was released, not to be confused with this model. The hollow ground blade on the C42 is an outstanding performer, with a very narrow tip that allows good control and piercing. The lock is a liner lock with steel satin finished liners. The blade is also satin finished, with the signature viele three-hole drillwork. Spyderco does not make a whole lot of liner locks, but the Viele is one of them, and they do a good job of it. It locked up solid and reliably. 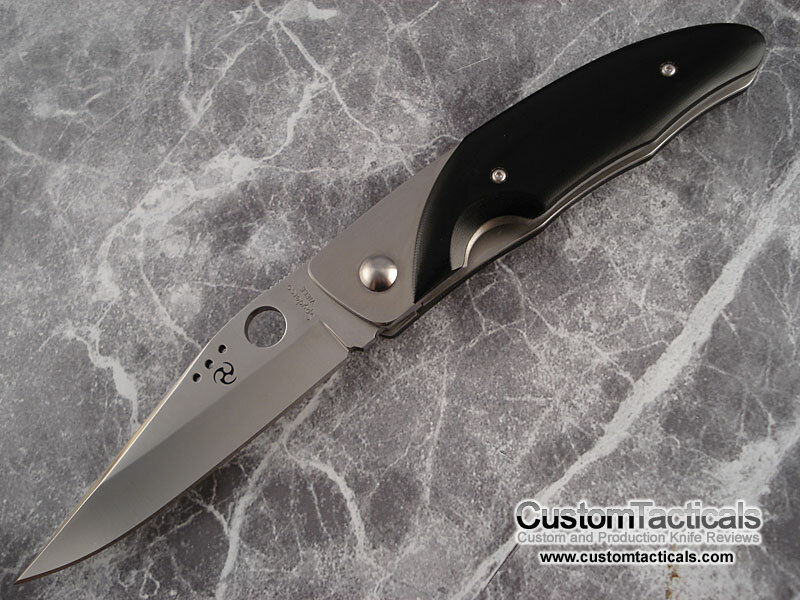 The blade is hair-popping sharp as is the norm for Spyderco. I’m not sure how I like the aluminum backside slab. I prefer the micarta slab used on the older original Viele, but this one is still acceptable. I think this knife could have benefited from a thick Titanium framelock on the backside. The knife fits comfortably in my hand, and clips very easily into my pocket. I think the Viele would make a great EDC, better than many other Sypdercos such as the Endura and Delica which are popular. The knife feels more solid to me and I prefer the liner lock over the lockback, though both are quite secure when done by Spyderco. Overall its a fantastic knife that I think is probably one of my favourite Spydies ever made. when i saw this knife i just had to have it. on a trip to smkw’s, i found this jewel and brought it home with me. it’s the original version, fully serated, with the micarta back. the smoothest opening knife i’ve ever handeled! the serations have that gruesome spyderco bite and the tip is oh so pointy! i carried this knife for a short period and it did everything i asked of it, but it’s since been retired for fear of any damage. what a beatiful knife.